When your team needs to share reports on Slack, Datadeck has your back. 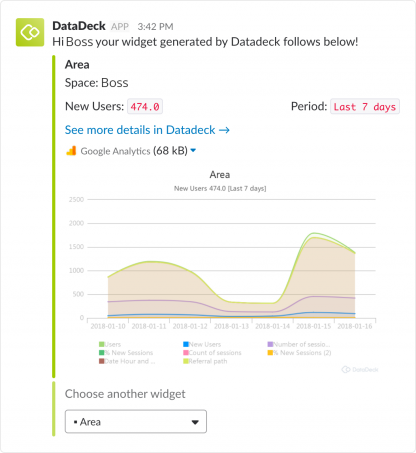 Seamlessly integrate Datadeck with Slack and share your widgets and graphs within the chat feeds. Create amazing dashboards with Datadeck to track your important metrics. 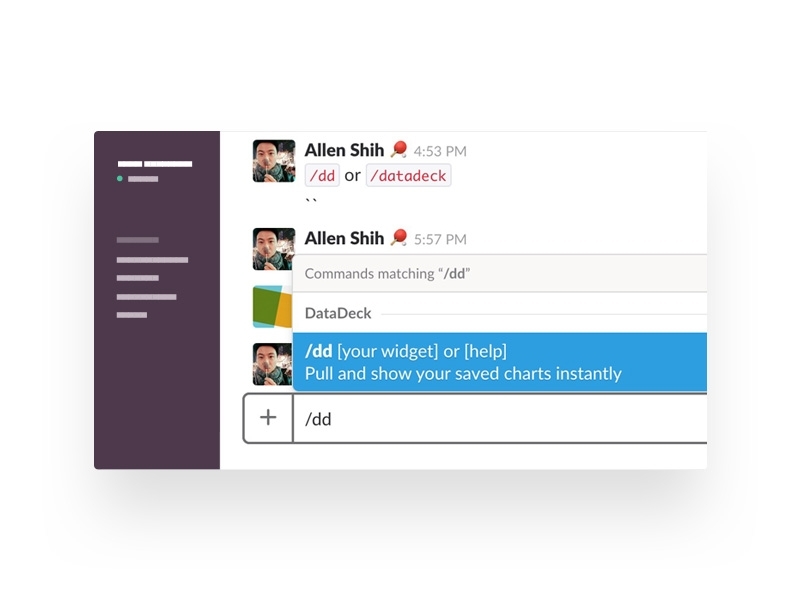 Share your Datadeck widgets through Slack to keep everyone up-to-date and goal-orientated. Use Slack to collaborate with your team. Your boss asked you about this month’s revenue? Just share your data widget in the chat window. Try Datadeck on Slack Now!